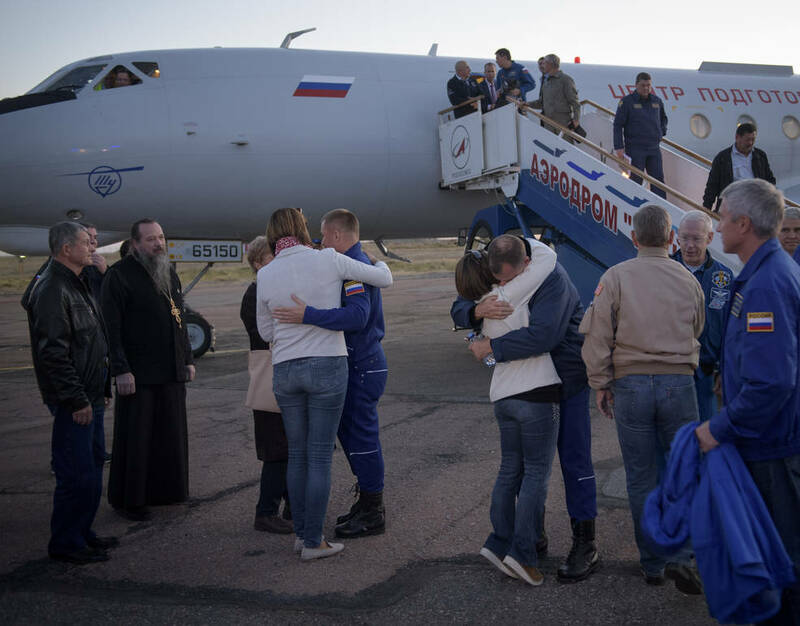 International Space Station Expedition 57 Flight Engineer Alexey Ovchinin of Roscosmos and Flight Engineer Nick Hague of NASA embrace their families after landing at the Krayniy Airport in Baikonur, Kazakhstan, Thursday, Oct. 11, 2018. Hague and Ovchinin arrived from Zhezkazgan after Russian Search and Rescue teams brought them from the Soyuz landing site. During the Soyuz TM-10 spacecraft's climb to orbit, an anomaly occurred, resulting in an abort downrange. The crew was quickly recovered and is in good condition.